Our motorcycle sprockets are engineered using only the highest quality 7075-T6 aluminum. 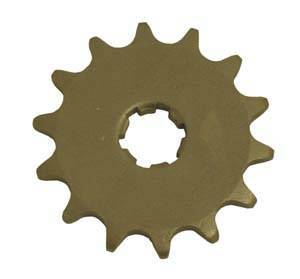 Our selection of sprockets is second to none. Available sizes are 13 - 16 tooth. Select in "Make It Your Own." Kawasaki and Suzuki OEM size is 14 Tooth.